My second trip to Latvia, taking in Daugavpils, Gulbene and Riga. 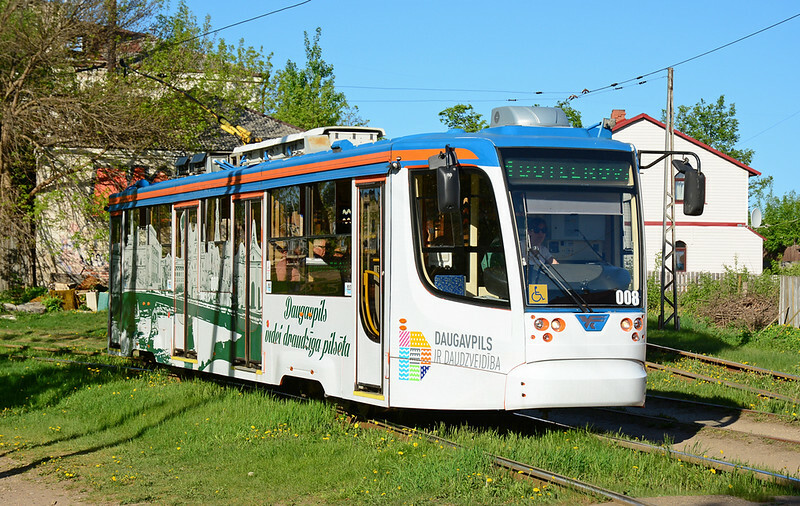 Tram 008, this my first photograph on my Latvia trip, and also my very first image of a Russian built tram, taken in some fine Spring sun. Seen here, having just departed the railway station stop Daugavpils 09/05/2018.